Completing your continuing education by your renewal deadline has never been easier. We have compiled the best courses for Maryland Real Estate agents to help you not only renew your license but to learn the latest in real estate market trends so you can be successful. This complete package includes all 15 required CE hours for Residential Associate Brokers and Salespersons* for those whose license renew on or after October 1, 2015. **This course meets the REALTORS® Code of Ethics Training (formerly known as NAR QUADRENNIAL) Requirement. You will need to confirm with your local REALTOR association if they will accept it. This course is optional, not approved for CE credit in Maryland, and is provided free of charge in this package. This course meets the 1.5 required hours of the Fair Housing Topic mandatory requirement (Category C). This course meets the 3 required hours of the Legislative Topic mandatory requirement (Category A). New legislation in Maryland relating to the real estate industry amends foreclosure processes, condominium- and HOA-related liens, and landlord/tenant relations. Environmental legislation effected changes relating to Chesapeake Bay restoration funds, sustainable energy programs, and waterways. Also amended were laws regarding estate taxes and extension of programs that were expiring. This course is designed to bring real estate professionals up to speed regarding the legislative environment of Maryland real estate. New legislation in Maryland relating to the real estate industry amends homeownership rights, building safety and accessibility, and mortgage financing. Environmental legislation effected changes relating to land and forest preservation, sustainable energy programs, and waterways. Also amended were laws regarding tenant rights, common ownership communities and homeowner’s associations. This course is designed to bring real estate professional up to speed regarding the legislative environment of Maryland real estate. This course meets the 3 required hours of the Required Supervision mandatory requirement (Category I). Brokers, branch office managers, and team leaders all share in the responsibility to provide adequate and reasonable supervision to other licensees and independent contractors doing business on behalf of the brokerage. The consequences for failing to provide this support can be severe. This three-hour course offers a thorough review of what it means to provide adequate and reasonable support. In addition, the course looks at how supervisory responsibilities apply to various special issues, such as the formation of intra-company agency relationships, the use of advertisements and trade names, the proper handling of deposits, and so much more. This course meets the 3.0 required hours of the MD Code of Ethics Topic mandatory requirement (Category D). Ethical real estate professionals who adhere to a high set of standards are the foundation for restoring confidence and stability in an unsure marketplace. Recognizing the need to promote ethical business practices, the Maryland Real Estate Commission maintains and enforces a Code of Ethics. The Code details the standards of conduct licensees must adhere to in their daily activities. 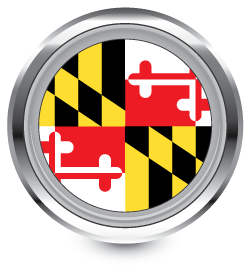 Maryland has also adopted laws to ensure that licensee advertising is accurate and transparent. Additionally, state and federal laws have been enacted to protect consumers from predatory lenders, property flippers, and unscrupulous foreclosure consultants. Collectively, these laws define the behaviors expected of real estate professionals. This 3-hour course begins with a full review of Maryland's Code of Ethics. We then closely examine the state's advertising rules. The course wraps up by looking at various types of fraudulent activity licensees need to be aware of, along with a review of the legislative steps taken by Maryland and the federal government to protect consumers against real estate fraud. A thorough review of Maryland's Code of Ethics. An explanation of the advertising rules that apply to real estate professionals. Useful tips for protecting clients against fraudulent activity involving predatory lending, illegal property flipping, and foreclosures. This course meets the 3 required hours of the MD Agency-Residential Topic mandatory requirement (Category H). Licensees need to intuitively know what duties they owe to clients and customers, and what duties can be performed without breaching obligations. Key industry professionals responding to NAR’s recent Legal Scan frequently indicated “breach of fiduciary duty” as the basis for a significant number of current disputes, and over 71% of them ranked the topic among their top three current issues. Knowing what to disclose, when to disclose it, what to keep confidential, and all the other detailed requirements built into agency relationships are crucial for a successful, legal real estate practice. This 3-hour course is designed to meet Maryland’s Residential Agency core requirement. *This course meets 3 Elective hours in Category F (Professional enhancement for practicing licensees) in Maryland. *This course meets 1.5 Elective hours in Category G (Technology relating to real estate brokerage services) in Maryland. Please Note: Licensees may only use a maximum of 3.0 hours in topic/category (G) toward license renewal.